Before I get to the heart of this article, I just want to make it clear that I have a world of respect for Hirsi Ali for finding the strength to leave Islam, her tireless work against Female Genital Mutilation (FGM), and attempting to rescue others from the cult of hate. 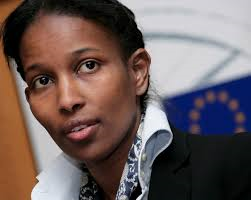 But like many prominent names in this field, she has no real long term answers in order to win the war with Islam. She also seems to have some kind of emotional attachment to Islam as well. One that does not bode well for the West, and that is the reason I write articles like this. Because most of the so called leaders in this war, are taking us down the road to an Islamic hell. When I first got the idea to write this article it was because of her call to reform Islam. But while doing my homework I disappointedly discovered that many of her other policies actually empower Islam. 1. As you will see in the following video, not only is she against banning Islam, she is also against banning the burqa. 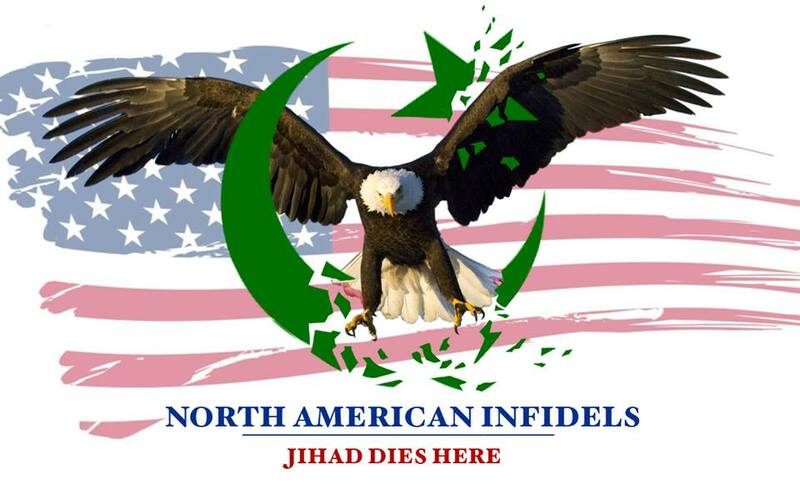 Which just leads to other aspects of Sharia seeping into non-Islamic communities. Besides taking a stand for the burqa, she approves of Muslims praying five times a day. Even though the Islamic prayer itself preaches hatred against Christians and Jews. She even called the birthplace of Islam beautiful. Reason: In Infidel, you point out many positive religious experiences you had as a Muslim. For instance, you describe Mecca’s Grand Mosque as a place of vastness and beauty. You praise the kindness that you experienced there, a sense of community, a lack of prejudice. Are there times when you miss that aspect of being a practicing believer? 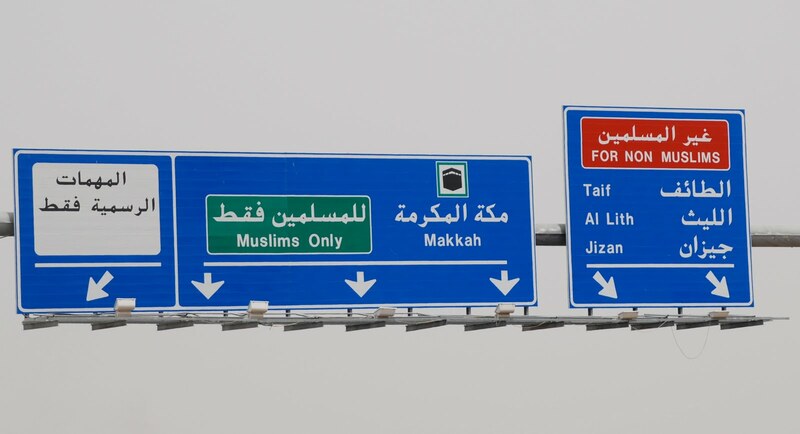 Hirsi Ali: I’d love to go and visit the Mosque in Mecca again, just for the sheer beauty of it, not for God—much the way a non-Catholic might go to Vatican City because of the beauty of the buildings and the artifacts. There’s a sense of calm in such places that’s wonderful, and there’s the awe you feel because of what humanity can accomplish. CONAN: Thank you, Miriam. Here’s an email from Brenda in Berkeley: Don’t you think that persons from traditional Muslim societies are not a good cultural fit for the West, particularly America, and should not be admitted as immigrants? Not all diversity is desirable. And she gives us examples of FGM, which by – I assume she means female genital mutilation, and polygamy. Ms. ALI: You know, I don’t – I really don’t think that we – by excluding people or by kicking people out of the country, that that is where we should look for solutions. The United States is a highly moral country. Most Americans go out of their way to help people who are underprivileged, whether it’s in the United States or outside of the U.S.
Hirsi went on to say that those who call for Sharia should be turned away. What if they lie? What about the hordes of Muslim invaders who are destroying Europe from within? Unfortunately Hirsi is being hypocritical here. Because by implying Islam can reform is exactly what she is condemning. Christianity was able to reform because its central figure, Jesus, was a man of peace. The polar opposite of Mohammad. 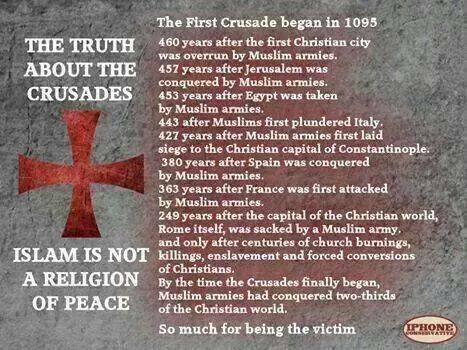 As for the Crusades, apparently she does not know that they were the result of 100’s of years of Muslim aggression. Coming up next Part II…Hirsi follows the failed policy of trying to categorize Muslims. “None can change his words”, “no change let there be”, “far, far from mercy… changes the religion of Islam after me. Who can get a clue? Wouldn’t you think she would have known that? I presume that she is aware of it. She seems to be trying to tap dance around the literalism issue. Any apparent success would be narrow, shallow and short lived. She is either in deep denial, or in it for the money. Her article was part of the promotion for her new book on reforming Islam. She also hooked up with that fraud Zuhdi Jasser. Which will only increase her exposure. I can not rule out a combination of causes. At the risk of false accusations but everything has to be weighed in these dangerous days ,Is there a possibility she could be an infiltrator such as has always been a problem in resistance movements , and one has to be convincing to infiltrate ! Let us not forget Kim Philby the English double spy whose treason caused the death of many British agents during the cold war. Long after his death ( he had to flee to Russia for the remainder of his life ) his former friends still reeled at his treason as he had been so trusted and liked. She sells books and says some great things. Become acceptable and trusted but calling herself a “heretic ” is worrying as very different from an apostate ! 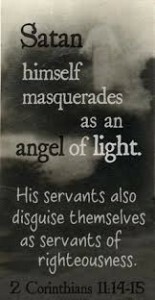 Surah Al-An’am 6.115 informs us that “none can change his words”. Surah Al-Kahf 18.27 confirms the immutability of Allah’s words: the Qur’an. Surah Yunus 10.64 confirms the obvious. Surah Ar-Rum 30.30 tells us that Islam cannot be changed. Exactly what part of this is not clear to liberals? Islam is the perfected wart of Allah and cannot be reformed. It is immutable. Muslims are admonished in Surah At-Taubah -.38-39, that they will suffer a “painful torment” if they do not join the Jihad. Muslims are promised, in Surah At-Taubah 9.111 and Surah As-Saff 10-12 that he will admit them to his celestial bordello if they join the Jihad. Muslims are warned, in Surah Al-Baqarah 2.85, that they cannot select the parts of the Qur’an they like and reject the rest. Thanks; I had misplaced it, having “stolen” the main ideas, shorn of the associated links, to put into my general easy-access BAN ISLAM text file. Open the file, click the embed link in the lower frame, set the size U want and copy the embed code; insert the embed code into the html source (text tab). File will appear in blog post. Thanks for the insightful comment Vlad! Always a pleasure to help destroy islam, Christopher! “Delendum est,” etc! 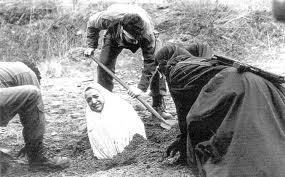 Under Shari’ah, abjuring any part of Islam carries the death penalty. Read it and curse Islam. Extremely well researched Christopher! Hirsi suffers from the same psycho-induced conditioning that a prisoner who is beaten by his jailer daily and later embraces him in a perverted loving way. Sean Hannity is also calling for reformation in Islam. Islam, the 5 pillars, the Ahadith, Bukari, Muslim, Koran cannot be reformed. They are of Satan. They must be cast into the fire. Thanks! When it comes to Islam Hannity is surely uninformed. That is besides the fact he does not have the courage to name Islam itself as the enemy. He is careful to prefix the R word, failure to prefix it would probably cost him his job. I have heard him quote the Koran on his radio show. Bu when he got caught between two experts and the truth came out, he was like a fish out of water, flopping helplessly. Yes, he did that when we argued on Twitter. He kept insisting that “RADICAL ISLAM” is the problem. Then said he would not say Islam itself is the problem. Those who live by the printing press, camera and microphone do not have our luxury of full honesty. They would suffer economic injury if they told the full truth as we do. I understand your point. But the fantasy of Islam reforming is killing us. It gives people an easy out not to fight this war (non-violently), and she has naïve and trusting non-Muslims buying into it. She has set us back. If she raises some consciousness, its a good thing. If she puts a few suckers back to sleep, how long will they slumber? The main line experts will string together a few facts in hopes of the audience connecting the dots and drawing the only possible conclusion. But the masses want to be entertained, not informed. A full length feature docudrama based on the hadith and sira would go a long way to get things started. The expense and threat of violence involved are major hurdles. Will anyone jump them?? The Quran is the absolute word of Allah and is cast in concrete, and it contains the message of hate, supremacy, and intolerance that justifies jihad, hence Islam can never be reformed, and must be chucked via apostasy, like Hirsi Ali did. Too bad that she pines for another way, but sorry, there is none, because if you don’t do what Allah commands he’ll find someone else who will. The only way to reform Islam is via a Great Muslim Apostasy and the permanent taking away of the Quran from children. She should back my Winslow Plan for Defeating Islam and work to throw the bums out in Europe and the U.S. and replace them with new ones who are on our team.